who having watched the shows from 1957, joined in 1963. This lively Western depicting the amazing exploits of Wild West star Annie Oakley was produced at the Gaumont Theatre by Ivy Hulme-Welch (otherwise affectionately known as ‘Auntie Ivy’. Choreographer was Pat Foulds with her successful specialities. The orchestra was led by MD Cyril Commins, with great music by Irving Berlin. This Arabian gem with music based on themes by Borodin was an ambitious production with lavish costumes full of colour. A difficult musical, both technically and musically enabled the large cast of principals and chorus to be stretched to their full potential. Produced at the Gaumont Theatre, this was Bernard Quantrill’s first show as Director, having previously appeared on stage with the Society. Another first for Dennis Lowe as Choreographer and also Donald Carpenter as MD of the Band of the Royal Marines with wonderful melodies of Sigmund Romberg. From the Canadian Rockies to San Francisco’s Chinatown this Rodgers and Hammerstein musical was full of colourful singing and dancing with a very large cast. With the same production team this was to be the last show for Donald Carpenter as MD of the Royal Marines as he moved from the area with the Service. Having followed the Society for many years this was my first show on stage. After the drama of West Side Story, this lovable feel-good show played to packed houses with the ‘Full House’ sign standing outside the Gaumont Theatre . Joining Bernard Quantrill and A.C. Finney of the Royal Marines, Pat Foulds was Choreographer with her excellent skills in the dream ballet scene. The horse used duly performed one night, and brought the house down, but sadly failed to repeat his performance on following nights to the disappointment of the cast. This great score of Cole Porter gave the Society another change of style and had some wonderful melodies. Dennis Lowe returned as Choreographer to join the team, as well as playing one of the male leads. Sadly from an audience point of view it played to poor houses in comparison to ‘Oklahoma’. Maybe Shakespeare’s Taming of the Shrew had something to do with it. Nevertheless a wonderful company show. ‘I’ll walk with God’ and ‘Drinking Song’ are just two memorable gems from this great Sigmund Romberg score. With the same production team this show was an operatic treat with fine ensemble singing. Of its time a popular show. October 12th 1965 headlined ‘Another landmark set by South Pacific’ in the Evening Star by Critic Diapason. A very popular show that saw some of the cast visit a chilly Felixstowe beach for publicity photos. Very successful production with Keith Turton joining as MD of the Royal Marines. Yet another Rodgers and Hammerstein blockbuster. First presented by the Society in l957 at the Ipswich Hippodrome. This production saw Yvette Graves elevated from the dancers to join the production team as Ballet Mistress, playing Louise in the Ballet. A wonderful ensemble show with many tear-jerking moments. Staying with Rodgers and Hammerstein and the same production team, this proved to be a theatre jewel. Beautiful songs, dancing, costumes and numerous cute and talented children. It’s right when they say ‘never work with children or animals’. 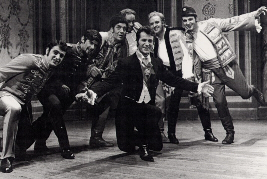 This Lerner and Loewe production was the ‘Southern Amateur Premiere’ of this musical. It was very nearly the ‘National Premiere’, but two other amateur companies pipped the Society by a mere seven days. As Critic Diapason said ‘it was the most lavish and sumptuous show in the Society’s history’. With Bernard Quantrill again directing , the Choreographer was Sue Macer and for the first time a professional Capriol Orchestra of London under the direction of Roy Budden. The cast took a trip to Orford Castle for publicity photos and with original costumes from Drury Lane, this truly was a spectacular show. The Souvenir Programme was One Shilling. Damon Runyon‘s story of gambling, gangsters and dolls was a world away from King Arthur. This fast moving sleazy world mixing with the Salvation Army contained showstoppers such as ‘ Luck be a Lady’ and ‘Sit down you’re rockin the boat’ , to name but two. Joining Bernard Quantrill and Roy Budden on the production team was Christine Clarke as Choreographer. Sadly, as with ‘Camelot’ the show financially was not a success and with losses made, Peter Carley, Chairman, said it was vital to make sure the next production was a success for the continuous existence of the Society. 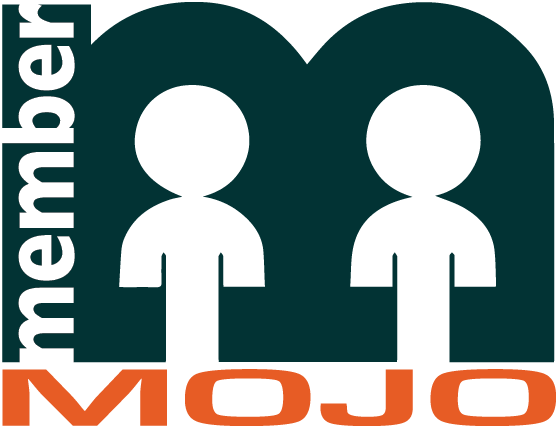 This was an amateur premiere for the Society shared with two other companies. A great boost for the Society to be granted permission with some 200 applications to NODA wanting to stage the show. What a show! Bookings went well and ‘House Full’ signs were on show again. One of the highlights was the Ascot Gavotte scene dressed entirely in black and white, which earned great applause from the audience each night when the curtain opened. Another great production by Bernard Quantrill and the Capriol Orchestra. It attracted a record attendance of 10,250 and earned a record gross income of £4,250. It cost a record breaking £3,750 to produce. A nice change to Sigmund Romberg’s show full of melody and colour. This show had a revolutionary flavour with lots of tough guys involved in brawls alternating with dances by pretty girls. Bernard Quantrill and Roy Budden were joined by Carole Wilden as Choreographer. Stephen Ball, the Society’s Business Manager, told the Evening Star that the Society expected to lose about £300. This, he said, was caused by two main factors, one being rising costs and the other being no increase in ticket prices. This classic show with the music of Franz Lehar contains eight-part harmony and truly was an ensemble gem. In his very detailed critique Diapason praised Bernardo’s production pointing out that many amateur companies were reluctant to embark on a show that contains such good singing and acting. With Carole Wilden and Roy Budden on board the production team, this was a glamorous and successful show. The souvenir programme went up to one shilling and sixpence. Based on Thornton Wilder’s famous play ‘The Matchmaker’ this is the story of Dolly Levi’s efforts to arrange a marriage for Horace Vandergelder. Margaret Leeke joined Bernardo Quantrill and Roy Budden as Choreographic Assistant as well as playing the part of Minnie Fay. The cast took a trip to Ipswich Station for publicity photos as well as visiting The Crown and Anchor Hotel with Dolly and the waiters. Second time round for this Arabian gem. Last produced in 1961. This production cost £4,000 and Lesley Jones, Miss Anglia TV, paid a visit to rehearsals to promote the show. The production team of Bernardo Quantrill and Roy Budden was joined once again by Carole Wilden as choreographer. With an orchestra of over 20, including a harp, the cast and production team numbered over 80. This show is a dancer’s paradise. With music by Cy Coleman and book by Neil Simon it has 11 dance routines. Each one took choreographer Carole Wilden a fortnight to create. Such wonderful numbers such as ‘Big Spender’, ‘If My Friends Could See Me Now’ and the show-stopper ‘Rhythm of Life’. It was a long hot summer of rehearsals and knee pads were a must. It was exhilarating to say the least. With seats at 35p-75p and a box costing £3, the Society offered 2 seats for the price of one on the Monday night. Edvard Grieg, the Norwegian composer, is the subject of this enchanting musical. With the same production team in place and a large cast, there was Corps de Ballet, trolls and an abundance of wonderful ensemble singing. Special mention to pianist John Butler for his great contribution instrumentally with some fine solo playing, particularly in the finale, based on Grieg’s piano concerto. Back to Rogers and Hammerstein for this family favourite. The show ran in October and back in June a staggering 114 youngsters auditioned for the seven Von Trapp children. The understudies performed in the Saturday matinee. Bernardo Quantrill’s production set a new attendance record. Over 11,000 people saw the show putting the Society in a very healthy financial position at this time. Performed at The Town Hall, Ipswich on the 25th October 1972 this concert was for the 1972 Season of Music and the Arts. Devised and presented by Dennis Pennock and assisted by Bernardo Quantrill, the Master of Ceremonies was Barry Marshall. A programme of song and dance. A cheque for £50 was presented to the Ipswich Society for Mentally Handicapped Children. Playing to almost full houses each night this show was not only a success in audience attendance but for the wonderful feeling of camaraderie for the cast. A story of tradition fast becoming eroded by new ideas and values leading to the Russian Revolution. Great music with ‘If I were a Rich Man’ leading the way. Bernardo Quantrill’s sensitive handling of the production was a great success. Based on the novel ‘Kipps’ by H G Wells, this production gave some of the younger members of the Society their chance to shine. This was a completely light frothy piece and Carole Wilden as choreographer produced some dynamic dance routines. Great stamina required by Kipps who is barely off the stage. The Society was now proving to be fully competent of performing a wide range of shows for audience appeal. With music by Johann Strauss ‘Pink Champagne’ is adapted from ‘Die Fledermaus’. Some imaginative touches to the production by Carole Wilden, choreographer, with her impressive Corps de Ballet who appear in one scene, after heavily drinking, as pink elephants in tutus and white mice with pink ears and long tails. Great principal and ensemble singing left the audience humming down the street. One of the most popular Westerns and everyone loves Doris Day. Good family entertainment full of cowpunchers, bullwhackers, trappers, Indians, saloon girls and soldiers. The cast took a trip to the Running Buck in Ipswich, ideally suited for publicity photos. ‘The Deadwood Stage’, ‘Windy City’ and ‘My Secret Love’ are just some of the great numbers from this show. Bernardo Quantrill directed along with Carole Wilden, choreographer and Roy Budden MD. The 21st Anniversary of the Society and the second time for ‘South Pacific’. 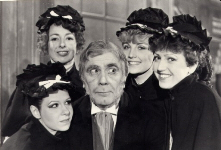 Bernardo Quantrill had great success with the 1965 production and along with several others of the original cast again delivered a success. In celebration of the 21st year the Society announced that this year it was seeking the key to its own door and set up a building fund for new premises. Just how fantastic would that be! Alongside Bernardo again this year was Carole Wilden and Roy Budden. This Latin American musical was written with amateurs in mind and contained 13 principal parts and plenty of chorus work. For the Society it brought out new talent in the Company and for the audience hits such as ‘Mexican Hat Dance’ and ‘La Cucaracha’. 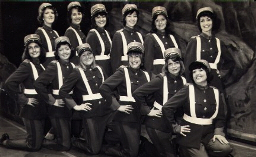 Continuing with the same production team, Carole Wilden arranged the speciality dances. The second time of this production by the Society and the greatest scene stealer of all was Worthington, an endearing donkey, whose brief appearance added a touch of magic. This was the 27th production for Bernardo Quantrill and along with Carole Wilden and Roy Budden ‘was a triumph’ according to the Evening Star. A review written and directed by Bernardo Quantrill which ran for 2 nights at Ipswich Corn Exchange. This was a light hearted collection of sketches, dance and song. Music was supplied by John Butler on piano, George Sirett on organ and Lionel Ford, percussion. Some 9 years since the first production this show cost in the region of £5,000. With TV stepping up an alternative form of entertainment all amateur theatre groups were suffering. This show saw the departure of a professional orchestra and welcomed Bernard Reader, a well known Suffolk musician and conductor, as MD using a locally formed 23 piece orchestra. Head of music at the Civic College, Bernard felt local musicians being available for more rehearsals was a great advantage. After only one production last year the Society was adventurous in selecting this show as Ipswich was in fact only the second amateur society in the country to stage this delightful musical play. An attractive visual piece capturing the atmosphere of Paris at the turn of the century. Souvenir programmes now selling for twenty pence. Chosen by the Society for its 25th Anniversary so that as many members of the Society could be involved. The cast numbered 70. This was Bernardo Quantrill’s 30th production and he had the strong support of Bernard Reader and a large orchestra and Carole Wilden as choreographer. An abundance of rousing chorus numbers with romantic and stirring music by Rudolf Friml. An extravagant production and with rising costs and a very bad week for weather, this show did not go down well and lost a lot of money. This was a new venture for the Society to raise funds and keep one major production a year at the Gaumont. 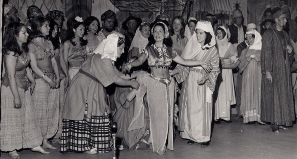 Compiled by John White with musical arrangements directed by Bernard Reader, it was produced and costumed by Pam White. It took place at Chantry School, Ipswich with tickets at 90p and 50p. On a low budget this revue enabled more members to have the chance to step forward and develop skills and experiences. It was also taken to Wickham Market and Saxmundham.